And come second year of Engineering to an end, people are already asking, MBA or MS? Whaaaaat? Already? Give me a break! Am I supposed to decide it right now? Isn't it too early? Early, did you say? Look at your classmates, your peers all have joined classes already and you're yet to decide. Huh, not expected from you..
People just come, taunt and go! They'll make you feel horrible for the stupidest and silliest things on earth and you'll keep cursing yourself for something so unnatural. You have got to agree with me, there are countless decisions we have all made just because we saw our peers do them. And often such a decision taken in haste is unworthy and disappointing later in life. Forget that, have you seen the new trend - JEE preparation from the 8th standard. In that age, I didn't even know what engineering meant. It was some some hosh-posh word to me. And imagine a child's future decided just like that! I have seen kids, literally Nursery kids go for tuition. What do they do there? Practice ABCD? And my heart just melts to see a similar situation arise here with the onset of GRE and CAT classes. I remember they had tuition classes for Engineering studies too. At times it humiliates me. Either I am overly over confident of my capabilities or this is just mindlessness. Genius mindlessness, I'd rather say! It would have taken considerable efforts to set up a tuition where it isn't needed, right? Those days aren't far when we will design kids as per needs just like they had in Man of Steel. Decide what the child will do before he is conceived. Perhaps a system like in the fictitious land of Meluha. Well it roots down to the point, education is no longer a learning process. It has become a money making process. Look at the fee we are being charged, and the Indian parents pay them happily for the sake of their children's future. What thought could be worse? The fact that we are being gladly fooled by this system or that we are unknowingly(perhaps even knowingly) supporting them. How many of us really challenge such high fees or point out the nonsense carried out in the name of "extra" classes? Instead, we sit and join one ourselves. Don't they call it "Education Sector" while referring to big MNC's in the education field on news channels? We have IPO's of different schools and classes coming up. There was a time when knowledge was divine, considered heavenly to be passed on from one generation to other. 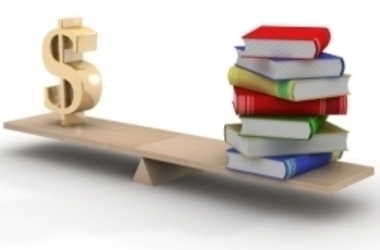 Today, it's a paid distribution of bookish knowledge. Honestly, how many of us remember what was the chemical formula of some big polymer or what is each pin on a particular IC called or what is the integral of arc sine? Simply waste of time and energy, and of course, money in this case. The real purpose of being taught all of that is lost. We learnt the chemical formulae of compounds to ease the remembrance of structures, reproduce them and not complicate our lives by memorizing them all. We learnt about the pins of an IC to understand how they function in reality and not "rattofy" and vomit in the paper. Why did we learn integration and differentiation is still a mystery to me! You see? Then why do we study? To pass. To qualify our "EXAMS" with good grades. First you give exams which test nothing but your memory power and on top if that later be judged on how well you fared there. I'm pretty sure the first school to hold an exam didn't have this on their mind as they materialized the concept of a test. It was made for teachers to know the grasping power of their students and for students to know how well were they soaking in knowledge. And now, they just humiliate the low scorers. What is the entire purpose of putting up results on a huge notice board? Mindlessness, like I said. 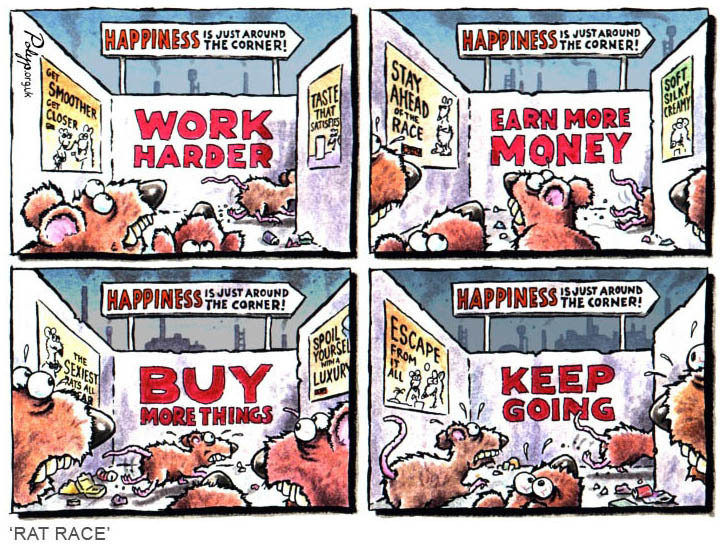 Everyone wants to move forward in the rat race we are made to compete in. And everyone wants a head start! That doesn't mean you start before the whistle even goes off. God knows why all kids want to behave as grown ups, study more than needed when their age suggests them to enjoy. I am not saying one shouldn't be focused. But that focus shouldn't be mistaken for all work and no play. In the end it is always going to remain a circle, a cycle where you keep thriving to move forward. The path is infinitely long and we, we are unsatisfied, always, whatsoever. It's like that joke I heard once. In our tenth we were told to study hard so we could enjoy twelfth where we were told to study hard just once more so as to enjoy college. Then at college we are being told to work hard just to get a good job. I'm pretty sure my boss is going to tell me, work hard to get an appraisal. Like I said, in-exhaustive. As if these daily soaps are no less than nonsense it seems. Let me cite the serial that goes on while we have dinner – “ChanChan” on Sony. I hate the word. Hatred so much so that my sister calls it my favorite TV show in order to pull my leg. Okay so this show, is typically about the “ideal” girl Chanchan who is caring, fun loving, polite, listens-to-her-parents-no-matter-what, has a villain mother-in-law, follows every principle, can never be wrong, blah blah blah. All in all she is just perfect. Just another saas-bahu saga you can say. Come on, give me a break. How many such people do really exist? How many people will sacrifice for their mother-in-laws without making a fuss about it? How many girls will silently stand as a random person will come and insult you and talk ill about your character! How many girls will marry an eco-friendly marriage where plates are recycled and food is plain and simple to avoid wastage? How many brides will not accept any gifts on their wedding but intead persuade their visitors to fund a street child? It’s way too much of an exaggeration. Nothing like that can be real! Ever. Forget these “ideal” characteristics of the girl. Each soap will have atleast that one vamp who will dress in the best designer sarees stalking the male protagonist of the show. Eventually she will be enemies with our perfect bahu. Literally ever goddamned serial has got that at some point. We hear of such cases only once a while in the newspapers. Everybody has got some business to do. Why will they keep stalking the perfect bahu all the time? I simply don’t get it. Even the men on the show. They’ll be at home all the time. Arre, don’t they have work to do? Agreed you live in a big bunglow with 10 servants but don’t you wanna earn? They are shown always sittign at home interefering in the saas-bahu fight. How typical! The males on the show would have married at least thrice, haha that’s the minimum count! Like seriously? They also had this trend of killing a main character and then bring them to life again. Duplicate roles, endless! Now how is it possible, every house has a remotely located duplicate character. Very typical again. And yet our beloved mothers believe that these stupid stuff connects with their real lives. I really feel like asking her, how many such villains do you have in your life? Or forget that, show me one example that links your life. How on earth can these depressing shows be a source of entertainment at all? My mum must have watched a thousand such serials already. Yet she clings on to this one. Why! Why! Why?? When every other serial is just another serial, then why? In fact, I’ll tell you there are so many times, I’ll predict what the story is gonna be! It’s not really tough to guess. All have same story line! Sometimes I think, it’s not her fault. Our Indian television has only such things to offer. You cannot watch cooking shows all day. They aren't kids who can watch cartoons. They may not have inclination towards music and cinema like we do. So maybe this trend that Ekta Kapoor started has taken over the face of the television. Smart lady, got the right thing into TV. She knew her target audience and she was well versed with the daily happenings. Added a little creative side to it, loads of mirch masala and emotions to couple with and there, all shows hit! The point of writing all this is I am really frustrated with what we have on television today. It is in a way forcing people to stay rigid and makes new changes tpugher to implement. The soaps keep showing what has been followed in our society since years, little focusing on what we, the youth want to make it. As a result, our elders want to follow the same lines and our progress bar is constant. No fresh thoughts evade their minds. Sad, sad state of the television in India. There are times when all I see is darkness. Darkness so much so that I feel afraid if I'm seeing anything at all. And then I question myself, are my eyes even open? Vulnerable to such situations, I feel like running away. Running away to some place carefree, where no one gives a damn to what I do. A place where I can be who I am. Who I want to be. What am I bound with? Tied with this concept of society, relationships, fine lines of mannerism and behavior, unnecessary interest in social things around and keep track of favors and gratitude. It's like as if these obligations have made me a slave. A servant who blindly follows what his master commands. A slave whose own wishes are diminished against the godly wishes. Just learn to adjust, sacrifice and quietly do as asked to do. Gulp everything down given to you like medicine. You never know if that medicine is gonna do some good in the future but for now, it's a bitter liquid. No complaints - not allowed. Just acceptance. What do I want? Freedom perhaps? Freedom from these conventional thoughts. Freedom from these "patterns" of stages in life. These patterns are being carved out since ages with little reference to the need and more intake from what-has-been-happening-to-everyone-will-happen-to-you. And we are just randomly being incorporated in this design. Lost with no identity. The only identity is that of the pattern. That has and always been lime-lighted, awarded the prime importance. And hopes shatter. Once inside this maze, there is no help given to find a way out. 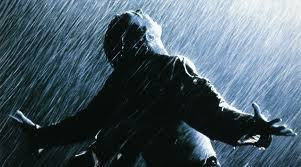 But then, just like it happened in the movie The Shawshank Redemption - Hope is good. "I have to remind myself that some birds aren't meant to be caged. Their feathers are just too bright. And when they fly away, the part of you that knows it was a sin to lock them up does rejoice. But still, the place you live in is that much more drab and empty that they're gone. I guess I just miss my friend." I have to remind myself that some birds aren't meant to be caged. When Morgan Freeman said that in the movie, it blew my mind. Literally I was stunned to how positively a dialogue like that could fill up my mind. Maybe someday, someday they'll realize some things are best when left free. Maybe someday they'll know I am not someone they can keep confined. Maybe they'll all know then that my nature demands freedom, that I cannot be caged. Just like Andy - nothing can keep me in prison - neither the warden, nor the high walls, nothing. Just clinging in to the hope that they realize it sooner. Sooner than I decide to leap forward and break those barriers away. Their feathers are just too bright. Perhaps they'll know I deserve that leap and hand it to me rightfully. And when they fly away, the part of you that knows it was a sin to lock them up does rejoice. So eventually those birds will end up freeing themselves. With or without their master's will. And what could be better than being not regretted and grieved upon. Free of guilt. Perhaps they'll feel good, feel proud that I dared to attempt something that nobody else had done. Tried doing things that were not convetnional. Did things that pleased me, that bought joy to my heart. And that happiness in the sinful part of their soul will bring peace to my soul. Maybe people need to learn that 'Set things free. If they are yours, they are bound to return back with your right.' Infact I'll be glad to get things rolling back after I am given space, given comfort zone. With these warming thoughts, I do go back to bed with a sense of satisfaction. Because with me I have Hope. Hope is good. Deep down I know, if I try things will be as I want them. If the ppotter will not take efforts and shape the pot, it will only be a dry brick of mud - useless and worthless. If I thrive, thrive just like Andy did, keep myself engaged in living, perhaps I will get to see the light in the tunnel. Just like Andy said, Get busy living or get busy dying. Choice is ultimately ours.